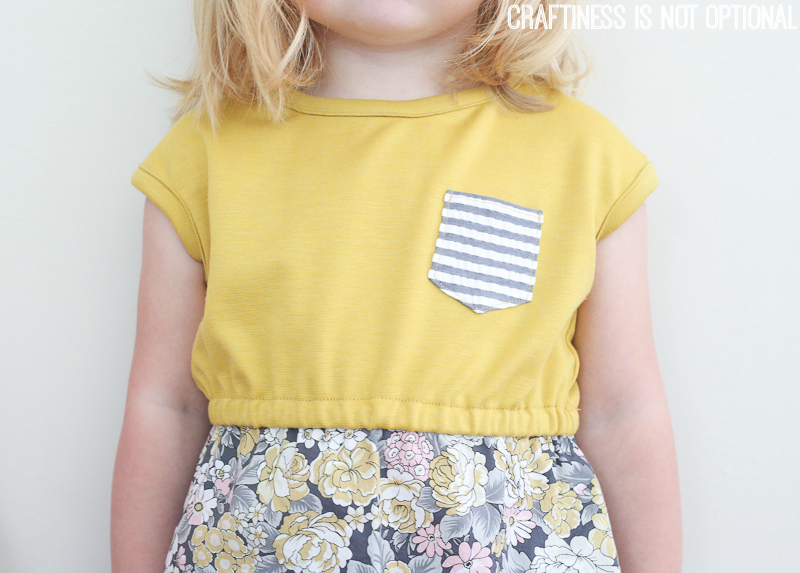 I am so thrilled to release another pattern into the wild today! It’s a very versatile pattern-and bonus-it’s QUICK to sew up! I know I have had too much fun sewing up a whole slew of Lulus! I am really excited that this is my first pattern using diagrams instead of tutorial pictures. Hopefully this helps make all the steps that much clearer! Purchase your copy right here! Why don’t I just stop chattering and show you the money dresses? 4T size…I loved this pairing. It’s fairly striking, with her coppery hair, right? the stripe is from Girl Charlee, bottom fabric is a long-time stash inhabitant. poor knobby bruised knees. Her new scooter is doing a number on her shins. Back to this one! It’s an all-knit version, which is uber comfy-Sadie refused to take this one off! 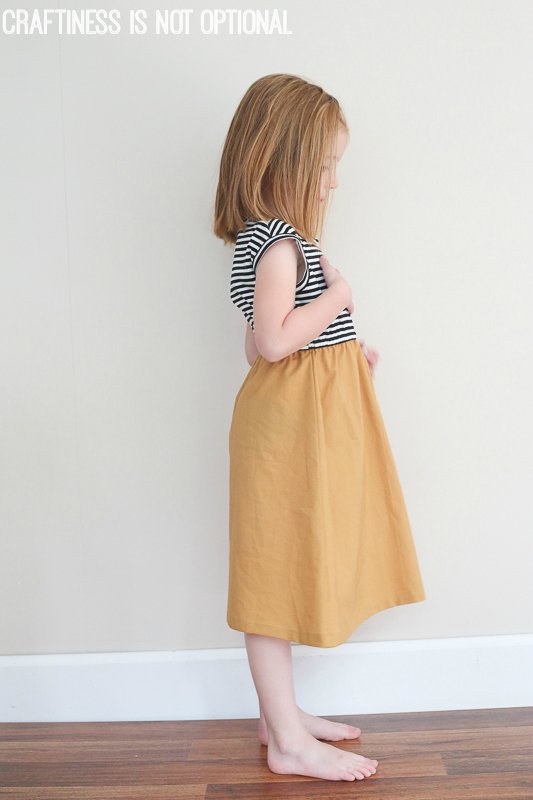 I love it with the skirt pockets! 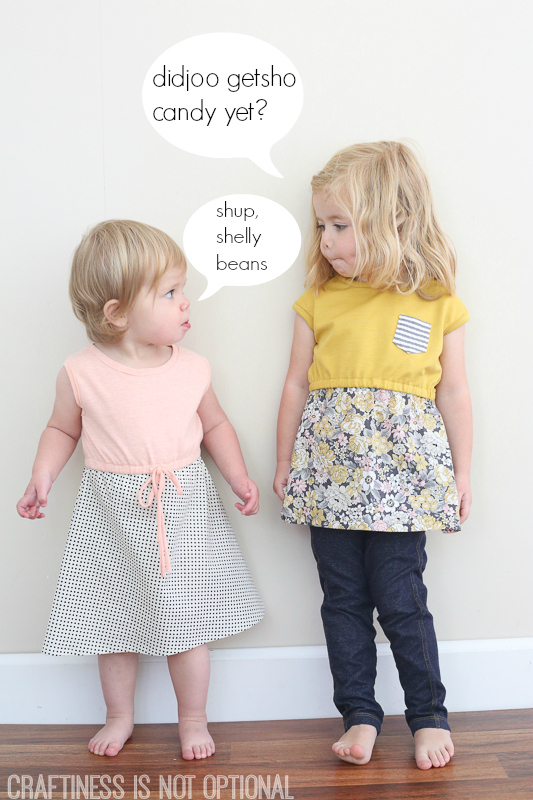 They are so easy to add, and you know kids and their pockets…. 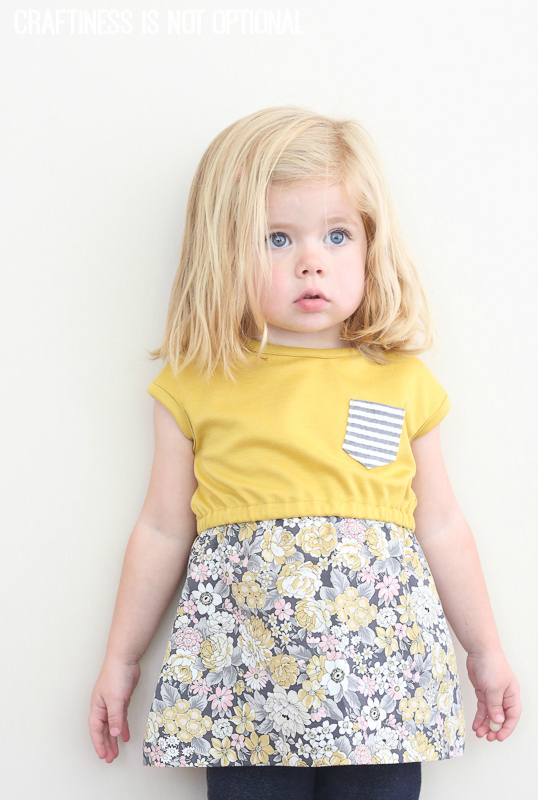 material is a ponte de roma from Girl Charlee. swoony swoon swoon. I could just eat her up!! 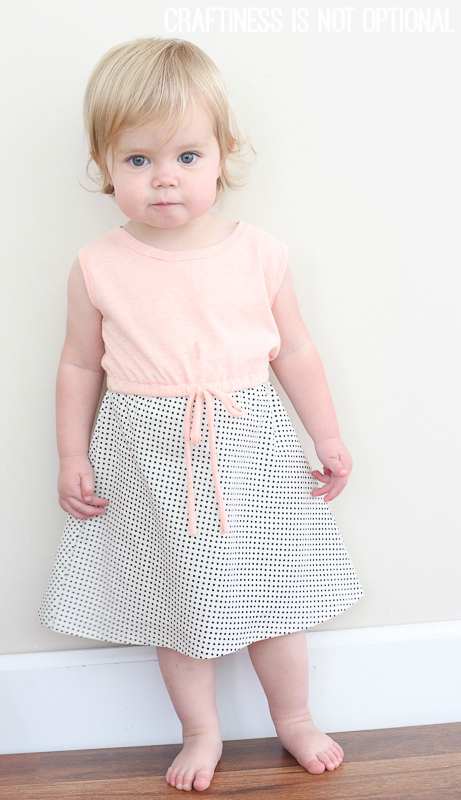 Here is Ava modeling the 18-24 month sleeveless dress! 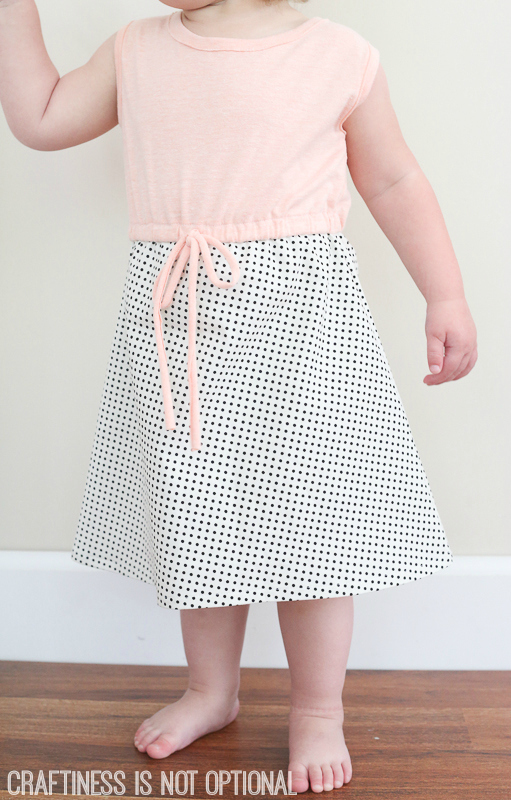 Some light peach knit from (you guessed it) Girl Charlee, and polka dot quilting cotton from Joann stores. that little bow!! love it. Miss C got herself a quirky little top! In a size 3T, with the shirt pocket. (some grey seersucker) the knit is mustard ponte de roma, and the bottom is some Robert Kaufman London Calling Lawn. I hope you enjoy the pattern! More pics from testers to follow asap! if you made it this far, feast your eyes on this gem of the girls eating their rewards. these are adorable Jess! Elsie definitely needs a few! Super cute! But, my your girls are turning blonde! So glad to see you releasing patterns. Great job! 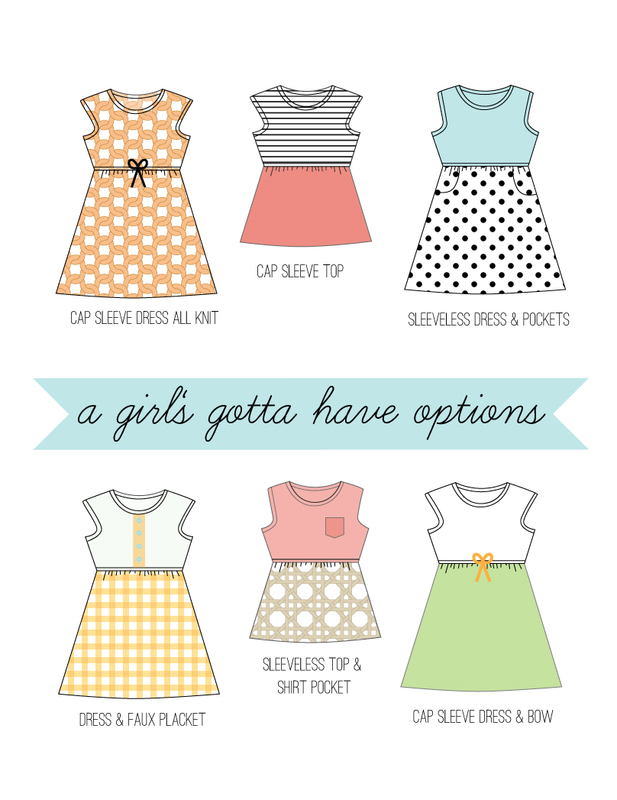 I LOVE the dress one the best! But a second is the one on your youngest. SOO cute! And the dress with the black and white stripe top…WOW. My girls are too big and I plan on doing stuff like this for granddaughters–which is a ways away! Good luck! This set is wonderful. Girls are looking as beautiful as ever! So so adorable. As usual. Love this pattern! And, oh my, is Charlotte getting blonde! All such cuties! These are adorable! I love all the options and the possibility of combining knits and wovens. Such nice work! Your girls are so adorable! Love the new pattern! Does the size 8 run on the small side? 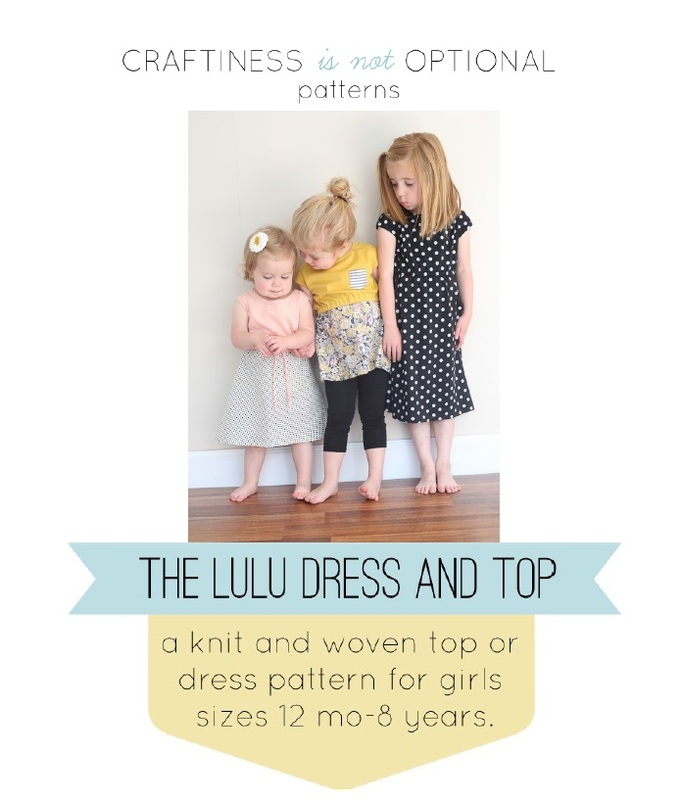 I’d really like to make one of these dresses for my daughter, but if it’s a small 8, it wouldn’t fit her. 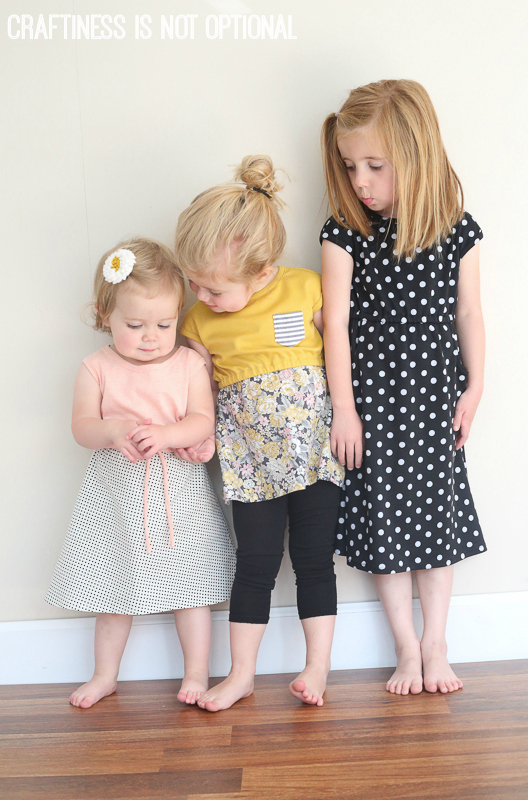 They are really cute dresses! Congratulations on the new pattern Jess! The girls and the dresses look absolutely adorable as always! Jess, I’ve been following your blog for a few months now and I am inspired by everything you make for your little girls. I have a 3 year old cutie myself. 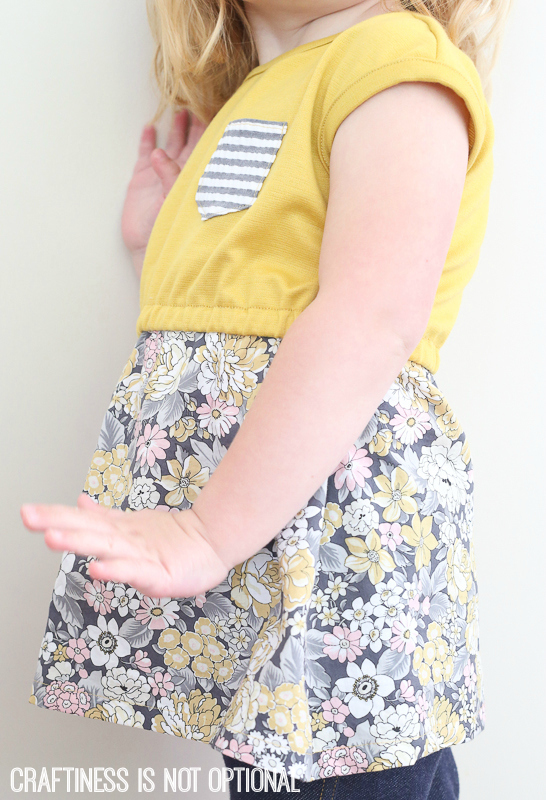 I just bought and made your Lulu dress and I love it! 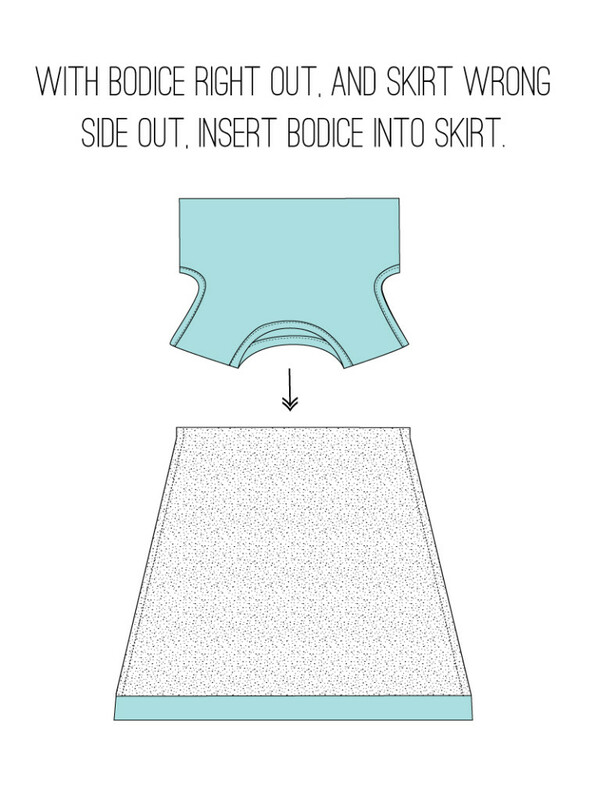 This is just the kind of pattern I needed to be able to customize and make over and over again. Here’s the review I wrote, thought of sharing with you. I am addicted to your Lulu dress. Made my 4th last night. Added a gathered ruffle down the front using the placket piece (cut it twice as long. My only wish is that it came with a sleeve. Any change of an add-on? Thank you for this darling pattern! 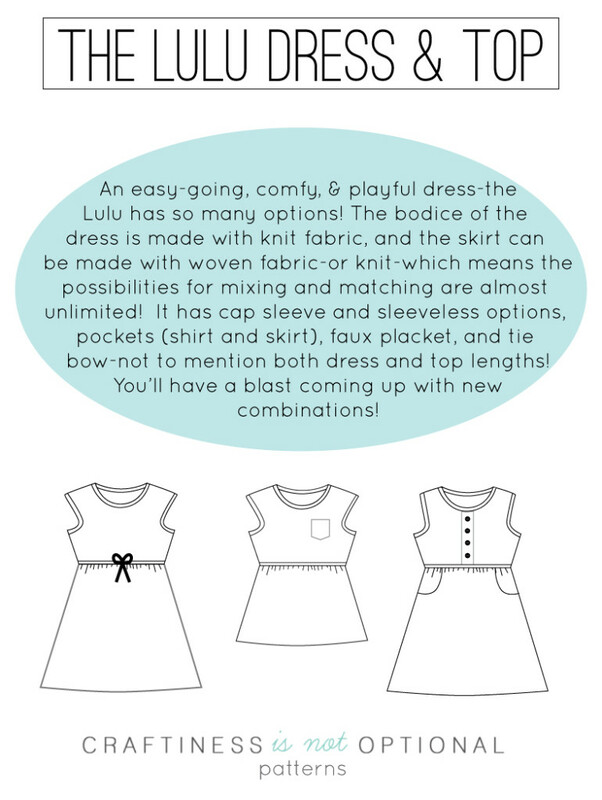 Do your buyers have permission to use the pattern to make and sell small-scale on etsy? Yes, if you purchase a License to sell-link on the right side of the site!